While our local commission has been concerned with changing the County Charter, a new courthouse and building development roads, the county has been messed over with redistricting. 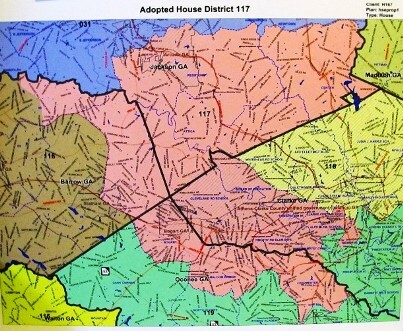 Oconee Citizens will come to rue the negative impact of the two new house districts. Oconee�s Rep Chuck Williams will be running in a district that has a larger Clarke County population than that of Oconee County. Oconee County has been thrust backward in voice and influence at the State Level. Recently converted Rep Doug McKillip (Democrat to Republican) obviously has much clout as a result of his relationship with Speaker Ralston. Over the objection of local officials he recently redistricted the Commission Districts in Athens-Clarke County. Last year, in order to create a friendly district for McKillip four counties were sliced and diced including Oconee County. Raw political power is being exercised by Speaker David Ralston even more than that of the days of Speaker Tom Murphy. Murphy did respect local officials and communities. 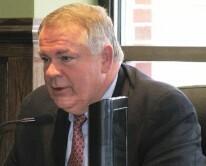 After observing Ralston’s support of McKillip, and other actions of the Speaker, the term “Boss Hog” comes to mind. His appearance has ballooned since his days as a young attorney. He has stacked committees and chairmanships with his buddies. While our local commission has been concerned with changing the County Charter, a new courthouse and building development roads, the county has been messed over with redistricting. Oconee Citizens will come to rue the negative impact of the two new house districts. Oconee’s Rep Chuck Williams will be running in a district that has a larger Clarke County population than that of Oconee County. 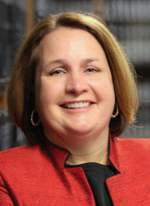 McKillip is being challenged by Regina Quick, a Republican from Athens.Regina is a good person and would make a good representative. She will receive support and votes from Democrats who consider McKillip a turncoat. He switched parties after being elected as a Democrat and as Secretary of the House Democratic caucus. . Oconee County Voters should support Regina Quick and start taking back our county. She needs funds and volunteers. See contact information below. …… Ethics watchdogs slammed Ralston for the trip, saying it demonstrates the need for a cap on the amount lobbyists are allowed to spend on lawmakers. Ralston, who last year sponsored the state's first ethics legislation in several years, has long favored having lobbyists disclose what they spend on lawmakers, rather than limit the spending…..
ATLANTA - Georgia House Speaker David Ralston is refusing to set up a committee to hash out a disagreement with the Senate over a bill that would generally ban abortions five months after conception. Ralston said Tuesday the Senate has "decided to tuck and run" on a difficult issue. House lawmakers earlier rejected a Senate attempt to loosen the restrictions in the bill, but the Senate insisted on the changes. The original proposal from Rep. Doug McKillip would have banned most abortions five months into a pregnancy. He made exceptions for when a pregnancy threatened the mother's life or physical health. The state Senate voted Monday to pass a changed version of the bill that would allow a doctor to perform an abortion after five months if he diagnosed the fetus with a fatal defect…..
…..State Rep. Doug McKillip, R-Athens, is essentially exercising veto power over the slightly revamped commission districts recommended by a citizen committee and the commission itself…..
….McKillip, who switched allegiance to the Republican Party in late 2010, a few short weeks after being re-elected to his Athens seat in the General Assembly as a Democrat — will be running for re-election this year in a newly drawn district that will effectively keep him from having to answer to the constituents he abandoned in a transparent attempt to prove his conservative bona fides to his new GOP friends.